At the Upper Grand District School Board, we ensure the inclusion of First Nation, Métis and Inuit histories and perspectives in our schools, our system and our school communities. By recognizing and promoting an awareness of these histories and contemporary realities, we will support the holistic success of all our students, in particular our First Nation, Métis and Inuit students. The UGDSB and the Wellington Catholic District School Board have formed a Community First Nation Métis and Inuit Education Advisory Committee (FNMIEAC). The purpose of this committee is to assist in identifying community needs and to provide advice and guidance on Indigenous initiatives and to advise on the annual First Nation, Métis, Inuit Board Action Plan. New Indigenous education initiatives and projects at the board, will be shared with this group for consultation and feedback. Canada has entered into a period of reconciliation. The federal government’s December 2015 Truth and Reconciliation Commission report included 94 calls to action to further reconciliation between Indigenous and non-Indigenous peoples. From the Anishinaabe to the Haudenosaunee and the Métis, these treaty lands are steeped in rich Indigenous history and modern traditions. As a community, we have the responsibility to honour and respect the four directions, land, waters, plants, animals and ancestors. Today, this area is home to many Indigenous peoples from across Turtle Island. We acknowledge the Mississaugas of the Credit First Nation of the Anishinaabek Peoples, on whose ancestral and treaty lands we teach, learn and live. The Upper Grand District School Board covers the ancestral and traditional territories of the Mississaugas of the Credit, the Six Nations of the Grand River, and Saugeen Ojibway Nation Territories. Parents of all UGDSB schools are asked to voluntarily identify their child as being of First Nation, Métis, or Inuit ancestry or non-Indigenous ancestry. Individual data will not be shared and will be kept confidential. The data collected through the Self Identification process will be the foundation of our efforts to further support the success of our First Nation Métis and Inuit students. This will allow us to advocate for funding that will provide the means to develop and implement supports for all students to experience achievement in both elementary and secondary school. 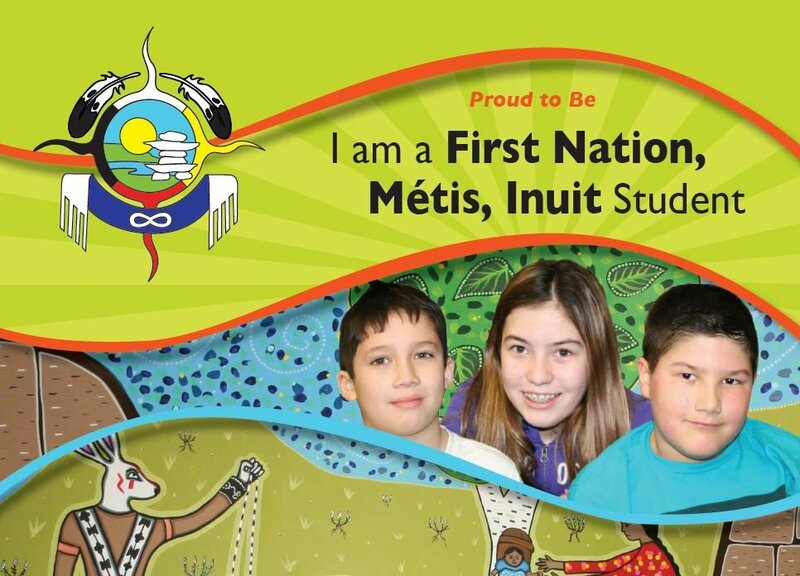 The board’s actions are based on the government of Ontario’s First Nation Métis and Inuit Education Policy Framework. You can find out more about the province’s Indigenous education strategy at www.edu.gov.on.ca/eng/aboriginal. Why is it important for parents/guardians to participate in the Voluntary Self-identification? UGDSB schools continually strive to meet your child’s education needs. Completing and returning the Self Identification form will allow us to learn more about student achievement for all students in our system. We want to ensure we are meeting your child’s learning and developmental needs through appropriate supportive programming in the schools. Participating in student self identification process is voluntary. Who is being asked to voluntarily self-identify? All new and existing elementary and secondary students are being given a Self Identification form. The information is provided on a voluntary basis. What box do I select if my child is both Métis and First Nation (non-status)? The parent or guardian has the choice to select which ancestral background. How will my child benefit from answering the Voluntary Self- Identification question? Knowing how our students, as a whole, are doing in school will help us understand what education programs and methods are working, where additional programs and supports are required and what changes need to be made. What specific information will be tracked? Information on ancestry such as First Nation (including Status/Non-Status), Métis and Inuit will be collected as a whole. In order to measure the success of all students, establishing baseline student data is required. Particular attention will be given to monitoring grade promotion/retention, academic performance, and graduation/dropout rates.